Home / Posts tagged "Powerflex"
A few weeks ago we had these 3 great 80’s automotive icons in for some work, Sierra Cosworth, 205 GTi & Mk1 Golf GTi. Its great to see these icons still be driven as they were intended to be. New Powerflex products added to online shop. 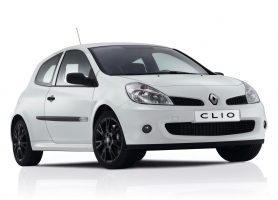 Renault Clio III (inc Sport 197 & 200) Powerflex Bushes. Powerflex have now released a range of Polyurethane bushes for the Clio III including the Sport 197 & 200. The bushes are available in both the original purple fast road bush and the Black series track / motorsport bush. Please ask for prices as we are able to offer great deals on all the Powerflex range.